Here at Formula Honda, we want to make you happy. That’s why we make it our goal to treat you like family. When you’re happy, we’re even happier. We find that satisfied customers are repeat customers. To encourage your continued loyalty to #FormulaHondaToronto, we’re offering our Drive Auto Rewards program. Once you purchase your new or pre-owned vehicle from us, you’re automatically enrolled in this loyalty rewards benefit. Just provide us with an e-mail address so we can keep you updated with your status and we’ll also alert you to any Honda special offer. Wondering how it works? Just bring your vehicle to Formula Honda for all your preventative maintenance and service needs. We’ll help keep your maintenance records updated by stamping your owner’s manual on each visit. That’s important for future resale or trade-in. However, the best part of our Drive Auto Rewards program is that you earn points for each service performed. That’s right, we take ten percent of your service bill and transform that amount into “points” to reward you for your loyalty. All those points add up. As your points accumulate, keep in mind that you can apply these points to the purchase of a future vehicle at Formula Honda. Maximize your savings by demonstrating your loyalty to us! That’s not all. As a member of our Drive Auto Rewards program, you can also receive discounts for a number of hotels, restaurants, Walt Disney theme parks, and McDonalds, just to name a few. Loyalty has its perks, and we want you to reap the rewards! Stop in today at Formula Honda and let us show you our large selection of new Honda models and certified pre-used vehicles. We think you’ll agree that we’re #1 among the Honda dealers in Toronto. Thank you for your patronage, and we hope you’ll take advantage of our Drive Auto Rewards program. 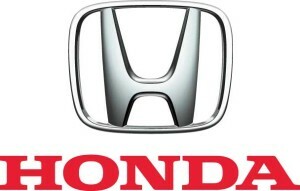 For all your automotive needs, check out our website at http://www.formulahonda.com.